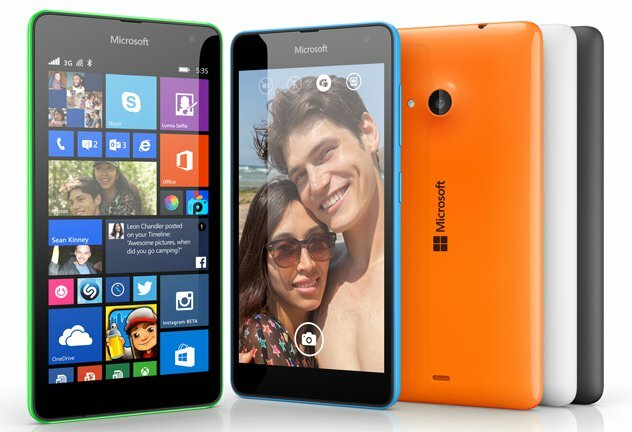 The first Lumia device 535 under Microsoft has been officially launched in India for an attractive price at only $150. (INR 9200). For the specifications that the device has, it is a really good pricing point. With Xiaomi almost ruling the Indian market with their budget-friendly Android smartphones, Microsoft has made it easier for the customers to also have a choice of owning a Windows device at a low-price. The entry level smartphone with the classic Lumia design features decent specification with a 5-inch screen, 5-megapixel front and rear cameras with LED Flash. The IPS LCD display is qHD and has a resolution of 540X960 pixels (220 ppi) and is protected by Corning’s Gorilla Glass 3. The device is armed with Snapdragon 200 quad core processor with 1GB of RAM and 8GB of built in storage which is expandable via microSD card up to 128GB. According to WPPoweruser, all the potential owners of Lumia 535 on Vodaphone subscriptions will enjoy a 500 MB data internet pack per month for 2 months free of cost. Since Microsoft has already released it in India, it’s only a matter of time the device would be releasing in Bangladesh as well.